Welcome back to another week of Mom's Library. Don't you wish you were sitting on a beach, sipping something cold while explore Mom's Library this week? Great! I have that same wish. This week, I'm bringing the beach and the ocean to you. Each week I feature activities on Mom's Library from the previous week's Mom's library. This week, the library is hitting the beach. 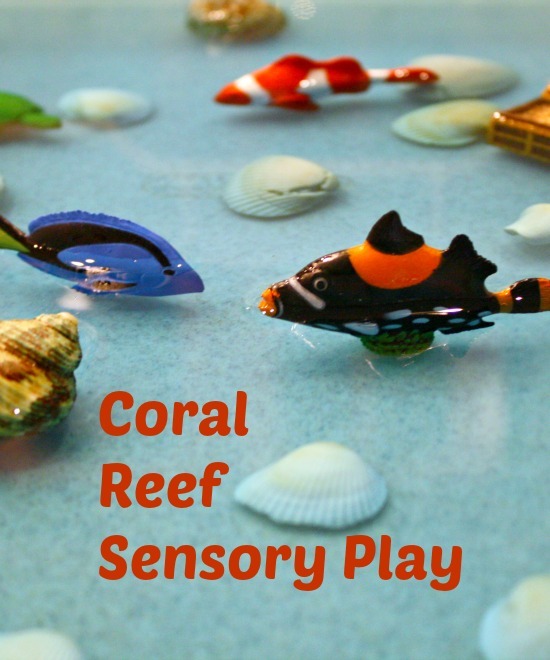 I'm sharing preschool and ocean activities for kids that were shared on Mom's library last week. There are beach sensory activities, hands on science inquires about pirates, and books and book activities for the beach. 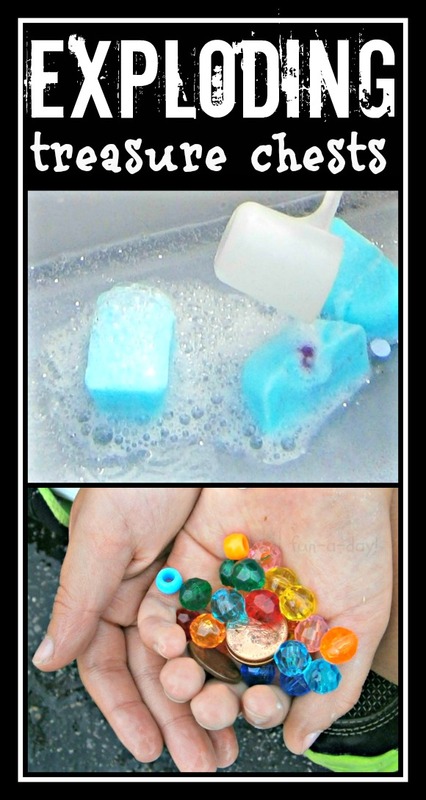 These activities would work great with a preschool beach unit. Mom's library is a linky party filled with parenting tips, activities for kids, stories, crafts, recipes, and more! Plus, each week we host a weekly giveaway. Be sure to subscribe so you don't miss the next Library! Follow the Mom's Library Pinterest Board to see all of our featured posts. Check out last week's Mom's Library for word work activities. And if you actually are sitting on a beach, sipping something cool, don't tell me. I don't want to be jealous! I live in the Midwest, which means we don't get to visit a beach very often. Most of our trips to the beach have to be through books. 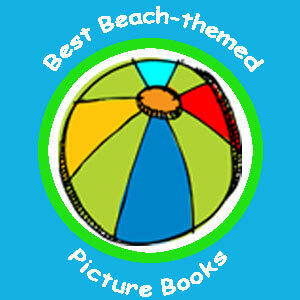 I've rounded up some of our favorite beach picture books. I'm so thankful that the Moms who linked up to Mom's library last week, shared so many beach activities we can use with our preschool beach unit. 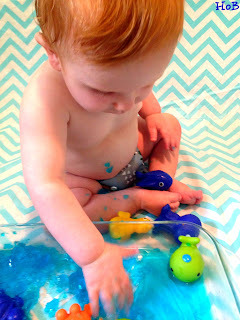 Sensory tubs seem to be a popular beach-themed destination for kids! We had several amazing sensory tubs linked to Mom's library that will help kids experience the ocean. 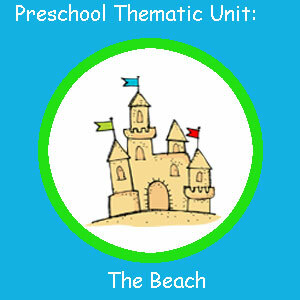 If you are looking for more activities, books, and games about the beach, check out my preschool beach unit. This week's giveaway is the First Grade Reading the Easy Way Curriculum. Last month, I featured the preschool Reading the Easy Way Curriculum at Ready-Set-Read. 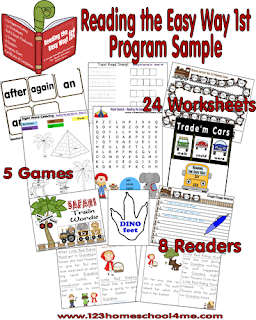 I am an affiliate with 123Homeschool for Me and I love their resources. I'm so happy that this week you have a chance to win the First Grade Reading the Easy Way Curriculum. Ashley from Life with Moore Babies has done a great job of reviewing this curriculum. Check it out, and then check out the rafflecopter to win! My child would like that it is broken down into managable pieces. So she is not over whelmed.